It was once thought that there was nothing that could be done about diabetes. People believed that if you were genetically predisposed to this condition, you would simply have to suffer with it. Our understanding has grown a great deal in the past few decades, and today we know that this is simply not true. While some people do have a genetic predisposition to diabetes, others develop it through poor diet and lifestyle choices. Either way, there is a great deal you can do to control, treat and even reverse diabetes. In this article, we will discuss some natural steps you can take to live abundantly in well with diabetes. Read on to learn more. You Really Are What You Eat! 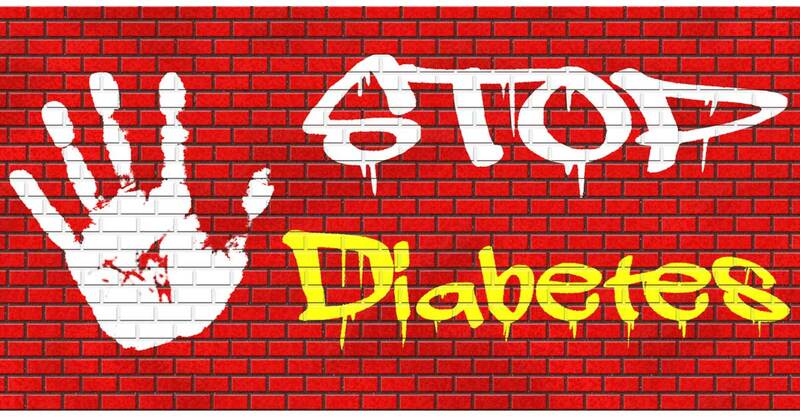 The main symptom of diabetes is erratic blood sugar levels. This is true of both type I diabetes and type II diabetes. For this reason, your diet is of the utmost importance in managing and treating your condition. There are foods that will proactively help stabilize your blood sugar levels, and there are foods that you should avoid to prevent blood sugar level spikes. The proper balance of these three types of food will result in the proper balance of blood sugar levels. Although all three aspects of the ideal diabetes diet are important, fiber is of the utmost importance. Be sure to get plenty of fiber rich foods in your diet. These include all green leafy vegetables; cruciferous vegetables such as broccoli; nuts and seeds. Be sure that at least 50% of your diet consists of high fiber food. This is very important for detoxifying the body and stabilizing blood sugar levels. Today’s Western diet is rife with unhealthy, hydrogenated oil. This type of oil is highly processed and exposed to very high temperatures that cause it to be carcinogenic. Additionally, this type of oil is usually sourced from genetically modified grains, so it is detrimental to anyone’s health on a number of levels. Healthy oils are essential to overall good health. Some examples of healthy oil include coconut oil, extra-virgin olive oil, grass fed butter and ghee, which is made by clarifying natural butter. Of these oils, coconut oil is the most versatile and the most healthy. It is a stable oil that can be used for high temperature cooking, and it is tasty enough to use just as you would use butter. Coconut oil is very helpful in stabilizing blood glucose levels and in supporting fat loss. To combat diabetes, you should eat a high-protein diet. One of the best sources of natural, lean protein is wild caught salmon. Other good choices include organically raised fowl and grass fed beef. Free range eggs are also an excellent source of high quality lean protein. If you are a vegetarian or a vegan, you can get your protein from nuts and seeds; beans, peas and lentils, and organic soy products such as tofu, soy milk and soy nuts. When it comes to foods that will throw your blood sugar levels into disarray and cause blood sugar spikes, there is nothing worse than simple carbohydrates and sugar. While it is necessary to consume some complex carbohydrates (such as those found in fresh vegetables) it is important to avoid simple carbohydrates (such as those found in sugar, white flour and processed foods). Sugar is the number one food to avoid when coping with diabetes. Stay away from all processed sugar. Instead, use Stevia which is a natural, herbal sweetener that contains no calories. When you get to a point at which your diabetes has been reversed, you can also include small amounts of nutritious sweeteners such as molasses, local honey and agave. All grains are very high in carbohydrates, and carbohydrates process as sugar in your system. For this reason, you should avoid grain products. While highly processed grain products containing white flour are the worst, even whole-grain products such as oatmeal can cause problems. If you are seeking to reverse and completely control your diabetes, you should eliminate these foods from your diet. Although dairy products are a good source of protein, conventional dairy products can cause problems. This is because these products contain casein which can wreak havoc with your health. You should eliminate dairy while you are healing from diabetes. If and when you reintroduce it, do so in the form of natural, organic products such as goat cheese. Chromium/chromium picolinate: Broccoli is an especially good natural source for this mineral. You can also supplement with chromium picolinate in the amount of 200 mg taken three times a day. Magnesium: High quality protein sources such as grass fed beef, natural, unsalted nuts and seeds contain high levels of magnesium. In addition to adding these healthy foods to your diet, you would also be wise to take a very high quality vitamin and mineral supplement daily. Cinnamon: This spice is excellent for helping stabilize blood sugar levels. Use it very liberally in your diet. Your goal is to consume a couple of teaspoons full daily! Fish oil: This healthy oil helps reduce inflammation which is the basis of all illness. For this reason, it provides good support for your efforts to combat diabetes. Alpha–lipoic acid (ALA) provides pancreatic support to naturally balance your blood sugar levels. You may have been wondering how you would manage to consume 2 teaspoons of cinnamon a day. You’ll be happy to know that essential oils can help with this. Both cinnamon essential oil and coriander essential oil are very effective. In addition to stabilizing blood sugar levels, cinnamon also provides excellent liver and pancreatic support. Incidentally, it also provides inflammation reduction and supports good heart health. It’s easy to see that consuming large amounts of cinnamon is a smart decision. A few drops of cinnamon oil added to hot tea can make a tasty treat. You can also use cinnamon oil in baking. Coriander also provides excellent liver support and helps to balance your blood sugar levels. It’s important to understand that having healthy liver and healthy pancreas are key to overcoming diabetes. Another very important aspect of recovery from diabetes or any disease is stress reduction. Stress causes illness and exacerbates any problem you may have. It throws your hormones out of balance and causes the production of cortisol, which is known as the stress hormone. This has a very negative impact on your insulin levels. Take proactive steps to manage stress appropriately. A relaxing detox bath several nights a week is a good idea. Add essential oils such as lavender for it’s calming affect. Epsom salts is also an excellent addition as it helps detoxify the body. As you go about your day, be sure to take plenty of stress breaks. Take short walks whenever you have a break. Avoid stress inducing activities such as hanging around the break room or smoke deck gossiping, drinking coffee and eating junk food. It’s easy to see that far from being an unfathomable mystery, management of diabetes is a matter of making smart, healthy decisions every day. Follow the advice presented here by taking up a healthy diet, taking your vitamins, managing stress and getting light daily exercise. You will soon see a huge difference in your diabetes symptoms.